We received the 1st UK hands-on training! *Orders dispatched from our UK warehouse only. 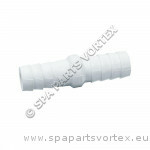 Spa Parts Vortex are a wholesale, master distributor of spa and hot tub spares and parts to the trade. This means we are your supplier and not your competitor. The majority of our business is based within the UK but have a growing number of professional clients across Europe. Spa Parts Vortex is always on the front foot, introducing new product lines and as a company we are able to offer the very best technical advice and support to our trade network. Contact us for more info. 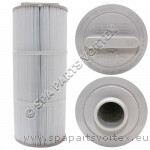 Over 2500 product lines in Stock, from Spa Packs to Spare Parts, from Blowers to Filters and much much more! 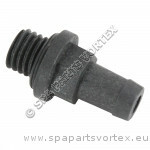 Spa Parts Vortex have premier account status with all the major brands such as Balboa, Waterway, LX and many more. We are currently the largest re-seller of Balboa parts in Europe, this means we have access to the best prices, therefore we can keep stock on the shelves and maintain supplies and competitive pricing for the long term. 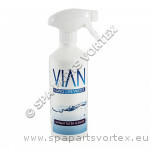 We offer a wide range of hot tub and spa parts from many different suppliers and manufacturers. Our extensive hot tub pump range include pumps from Waterway, LX, ESPA, Balboa, Hydroair, Laing, Aqua-flo and more. 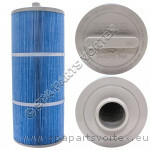 We supply Darlly filters and American made Hot Tub covers. Our product range is designed to overcome most obstacles so we can often suggest an alternative, if the part you need to source is proving difficult. As a valued trade partner, unlike some other trade suppliers, we don't compete with you on auction websites and PPC sponsored advertising. 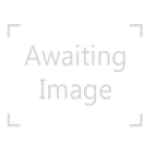 If you would like to register for a trade account please register here. If you are a retail customer searching for spa parts or accessories contact us and we will put you in touch with your nearest dealer who can help.